To believe it impossible for the Pope to speak infallibly, under the right circumstances, is a great error. Yet I think an even greater error lies in granting the Pope infallibly in all circumstances. To preserve the correct understanding of a concept, over- or misapplication must be avoided. Inferred perpetual papal infallibility is a danger that stalks the most devout. Fr. James Schall is my favorite author of essays. I am a fan of his style and clear and organized thought. Fr. 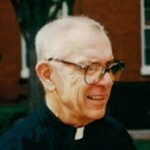 Schall is also a member of the Society of Jesus, a Jesuit. On July 24, 2015, he wrote a piece that I highly recommend be read by all: Apocalyptic and Utopian: On Pope Francis’ Bolivian Manifesto. In it, Fr. Schall demonstrates masterfully how to think respectfully, yet critically, about what the Pope says and the manner in which he says it. Of course at 87, we can certainly forgive him for sounding a bit ornery at times. God bless you Fr. Schall.